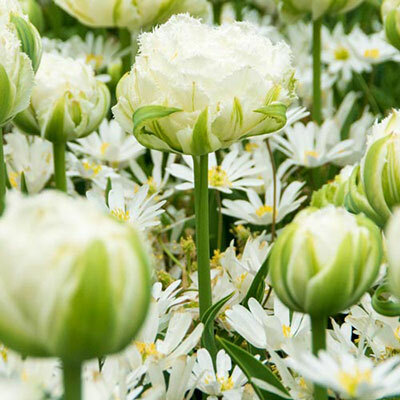 Pure white double blooms with fringed petals. 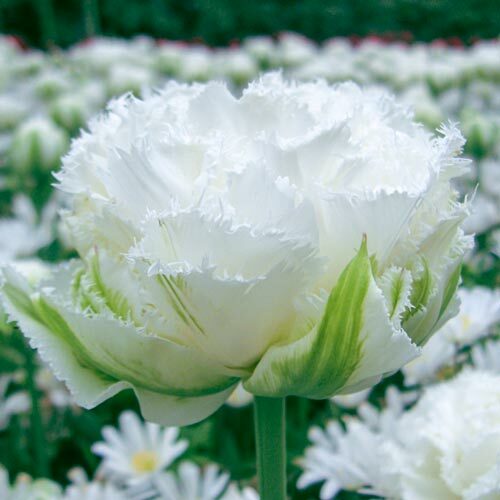 The outer petals have a green stripe that runs through to the bottom. Large, extremely double flowers, 4.5" in diameter when fully open.